When you're in the business of managing your country's finest soldiers, it's probably a good idea to plan ahead. That's why Ubisoft has already lined up their post-release content schedule a full three weeks before Rainbox 6 Siege even hits shelves. Starting in January, the schedule will be split into four seasons coinciding with their ranked competitive mode. 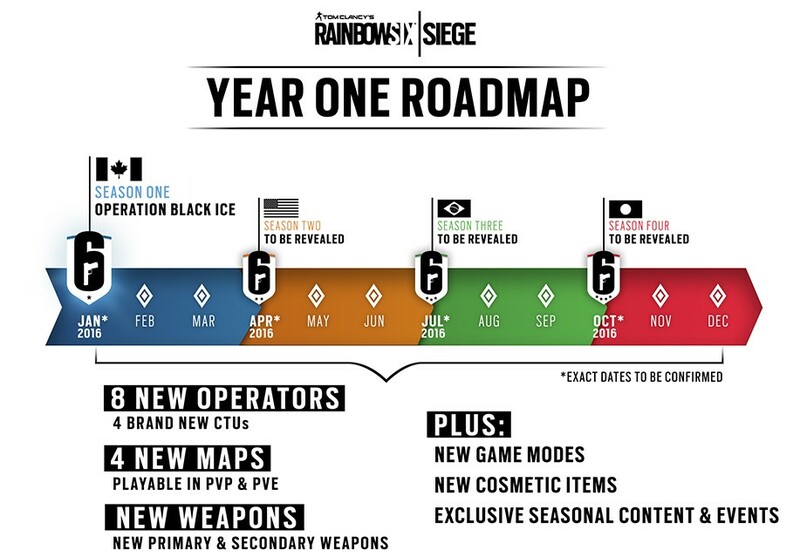 Over the course of each season, we'll be getting eight new operators and four new maps, plus new weapons, modes, and cosmetics. All of this extra content will be released under the watchful eye of R6S' post-release team and, more importantly, is aimed at keeping the community together instead of sectioning them into separate DLC "hoppers". As you can read on their blog post, all of Siege's extra maps and modes will be fully free, and the nearly all of the remaining content will be acquirable via an in-game currency (along with actual money, of course). Especially exciting for us co-op folks is that each of the four maps are playable both competitively and in the game's five player co-op Terrorist Hunt mode. Given how heavily the Rainbow 6 series prides itself on "tactics" over "loadouts", it makes sense that they'd want to ensure all of their player base has theoretical access to the same equipment. The feasability of unlocking equipment and operators through playtime remains to be seen, of course. 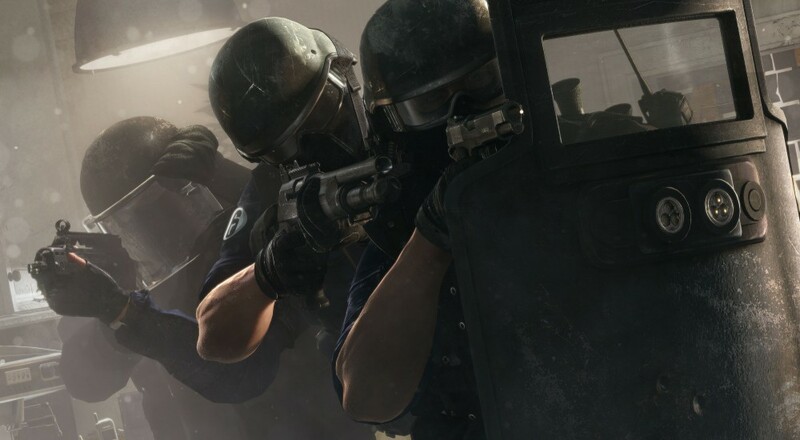 Rainbow 6 Siege will be storming PC, Xbox One, and PlayStation 4 on December 1st. Each person must prepare in their own way, but I'd recommend, I dunno, doing a push-up or something. Page created in 0.2300 seconds.